The Barn door mounts. Part 3 the Dingaling tracker. By Greg Walton. We need something more portable than a Barn door. If we had some way of turning the screw without touching, the mount could be made a lot lighter. So I re-engineered it, instead of turning a screw which drives the 2 boards apart. I used a 60 minute egg timer and a piece of fishing line to winch the 2 parts together or apart, depending on which pole you are looking at of course. 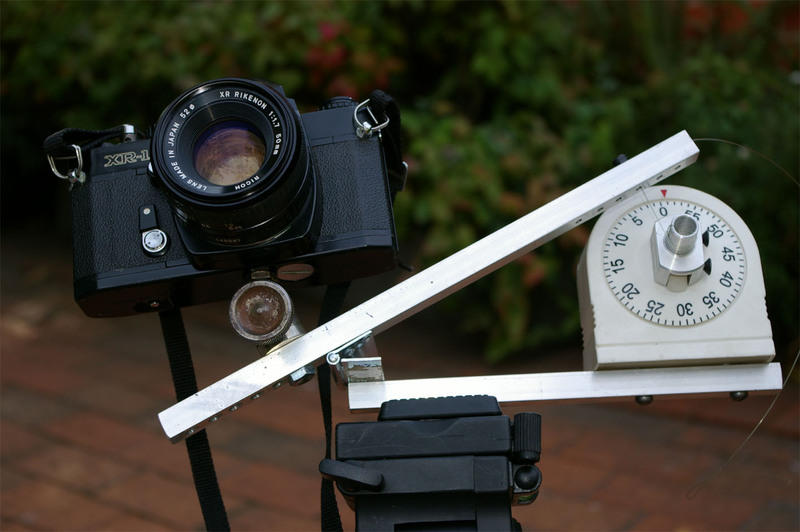 Its all about ratios, like the barn door mount. 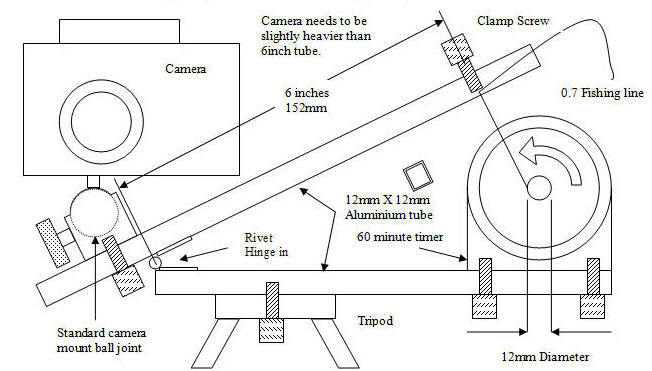 The distance between the hinge and were the fishing line attaches, which is 6 inches this is equivalent to a 12 inch wheel so the wheel on the egg timer would need to be ½ inch minus the diameter of the fishing line which would be 12mm, this would give a 24 to 1 ratio, meaning the 12 inch wheel would only turn at one 24 of the speed of the egg timer. 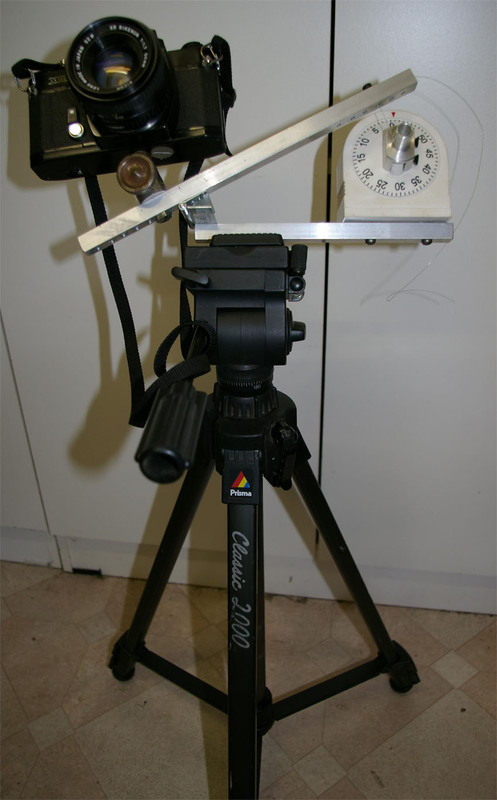 This was very successful but you had to keep the balance on the light side or the timer was not strong enough to move the camera, I was limited to short lens like 50mm length, anything longer than 135mm was just too heavy. But with persistence I'm sure anyone could make longer lens work too. The timer bell rings you when it has stoped, so I nick named it the "Dingaling" tracker. See drawing and photos below.